Since its introduction in 2012, the original micro iUSB changed what was considered attainable from computer audio by supplying regenerated USB power. 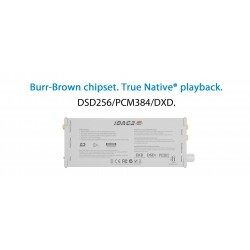 The recently launched flagship micro iUSB3.0 aimed at top-tier dacs (+$5000), is another leap for computer audio. 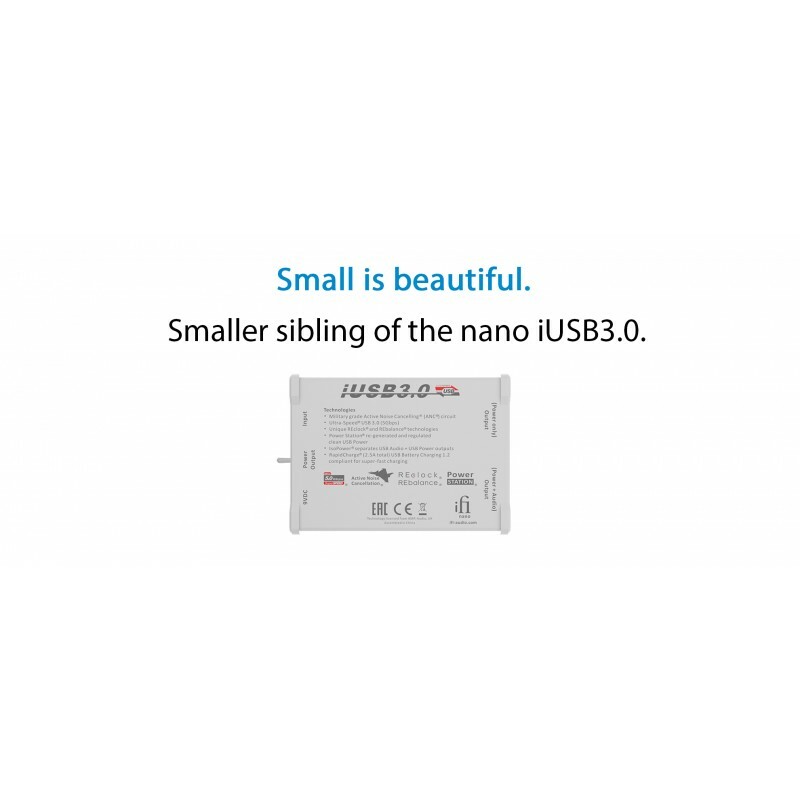 The all-new nano iUSB3.0 is the ‘Baby Bentley’ of the flagship micro iUSB3.0. 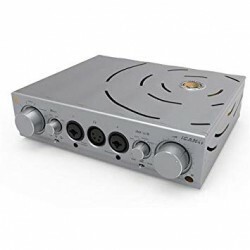 For $500 to $5000 dacs, it retains the lion’s share of the micro iUSB3.0’s features – USB3.0 chipset at the heart, IsoPort®, Active Noise Cancellation®, REgenerate/REclock/REbalance® and more. The all-new nano iUSB3.0 features all-original, cutting-edge USB audio technology including Active Noise Cancellation® from AMR. The latest REclock®; REbalance® work their magic while the original REgenerate® which was at the heart of the success of its predecessor. All combined the nano iUSB3.0 has some serious USB technology. Fed by the iPOWER, the noise floor of the nano iUSB3.0 at 0.5uV (or 0.0000005V) is only bettered by the flagship micro iUSB3.0. Drawing from the military field (specifically the Thales Spectra radar cancellation system deployed in the French Dassault Rafale jet fighter), iFi adapted this technology to exclusively introduce the Active Noise Cancellation® (ANC®) audio power system. 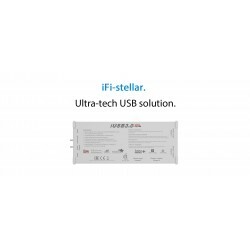 ANC® technology is now a cornerstone of the iFi USB technology range. An air defence radar is transmitting at a certain frequency; when the signal bounces off the aircraft, a receiver on board the aircraft picks up the signal and a computer analyses its base frequency/modulations and an identical, but out-of-phase signal is then generated to cancel out the enemy radar signal. By generating a signal identical to the noise signal but in the exact opposite phase, it completely cancels all the incoming noise. 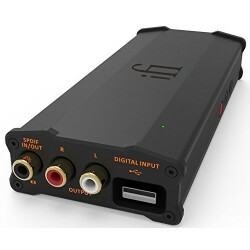 ANC® is the perfect ‘antidote’ for power supply noise; the bane of USB audio. With ANC® the power line is filtered for RF noise. The measured noise floor of 0.5uV (0.0000005V) is at the measurement limit of the Audio Precision equipment. The background and inner resolution to recordings is no longer hidden. Sonics are much smoother, just like how good analogue should be. 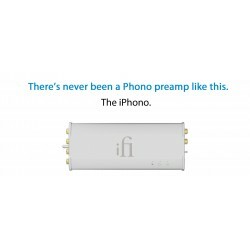 The nano iUSB 3.0 re-clocks/re-generates/repeats USB audio datastream. 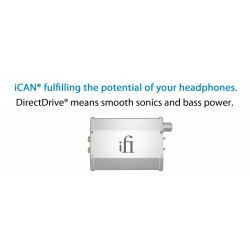 For any and every downstream DAC, REgenerate® actually ‘regenerates’ an all-new USB signal via a precision master clock with the REclock® technology to eliminate computer jitter. Music just flows better; is cleaner, more accurate, just like the real thing. The USB signal is inherently a ‘balanced’ signal, however most USB signals become ‘unbalanced’ to some degree and contaminated by noise. By removing the DC offset and ‘re-balancing’ the USB audio signal, it is now perfectly balanced and noise-free. The graph on the left shows a typical USB signal that is poor. Virtually everything about the signal is out of kilter. The graph on the right shows how EACH different feature of the iUSB3.0 corrects the USB audio signal. All combined, the signal is brought back to a near ‘perfect’ form. This shows the importance of having each and every REclock®/REgenerate®/REbalance® feature to fully restore the eye pattern. 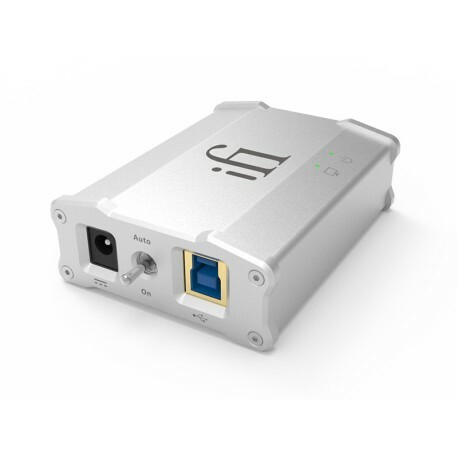 iFi products are at the cutting-edge yet also look to the future. 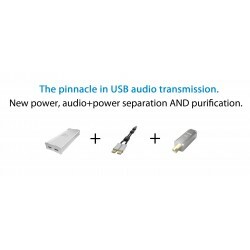 The nano iUSB3.0 is USB3.0 standard and is backwards compatible with USB2.0. 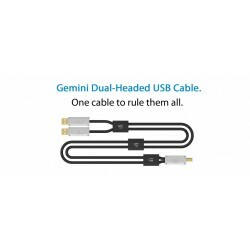 There is also the added sonic benefit from the USB3.0 platform which mandates better connectors, higher-quality cables etc. Looking ahead, as audio transmission standards improve, with an ultra-speed bandwidth of 5.0Gbps, USB3.0 is future-proofed. It is 10x that of 480Mbps on USB2.0. Unless the normal power up/down sequence is followed, the computer may ‘lose’ the DAC connection. The nano iUSB3.0 has an ‘Auto/On’ switch where the ‘On’ setting ensures USB power is constantly supplied to the PC so it always ‘sees’ the DAC to enhance user enjoyment. 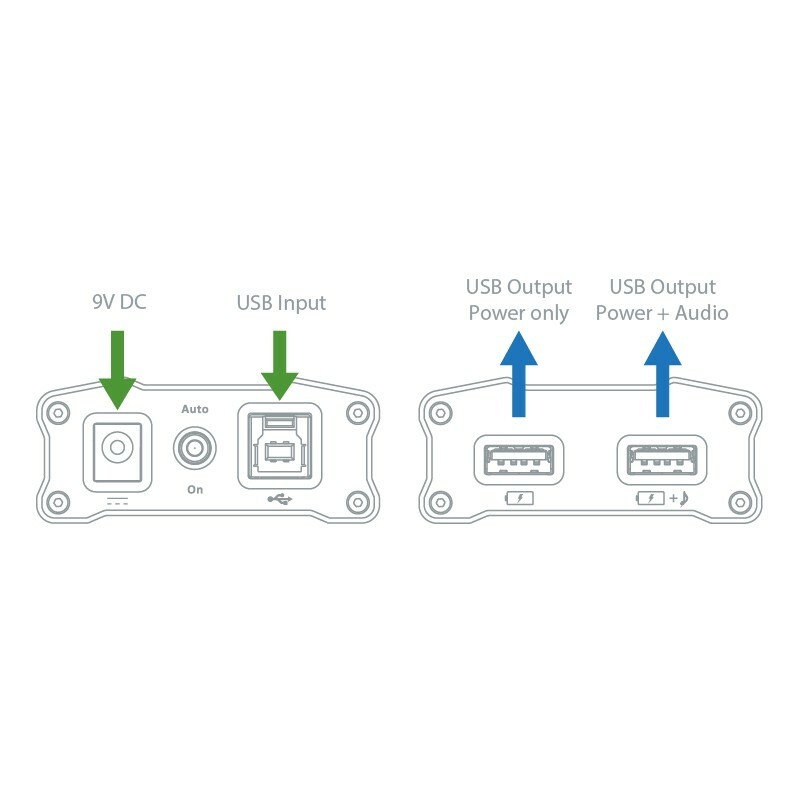 Retaining the Dual-Port topology, the nano iUSB3.0 operates as a computer audiophile-grade USB power supply. The data and power lines are totally separate which eliminates any cross contamination. With modern power-hungry devices, the nano iUSB3.0 is also Bus Charge 1.2 compliant – able to fast-charge phones, tablets and even its siblings, the nano iDSD and micro iDSD. 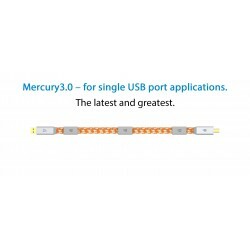 Improved performance and fault tolerance over USB2.0. Re-clocks/Re-generates/Re-balances USB signal, recreates a ‘perfect’ USB signal. 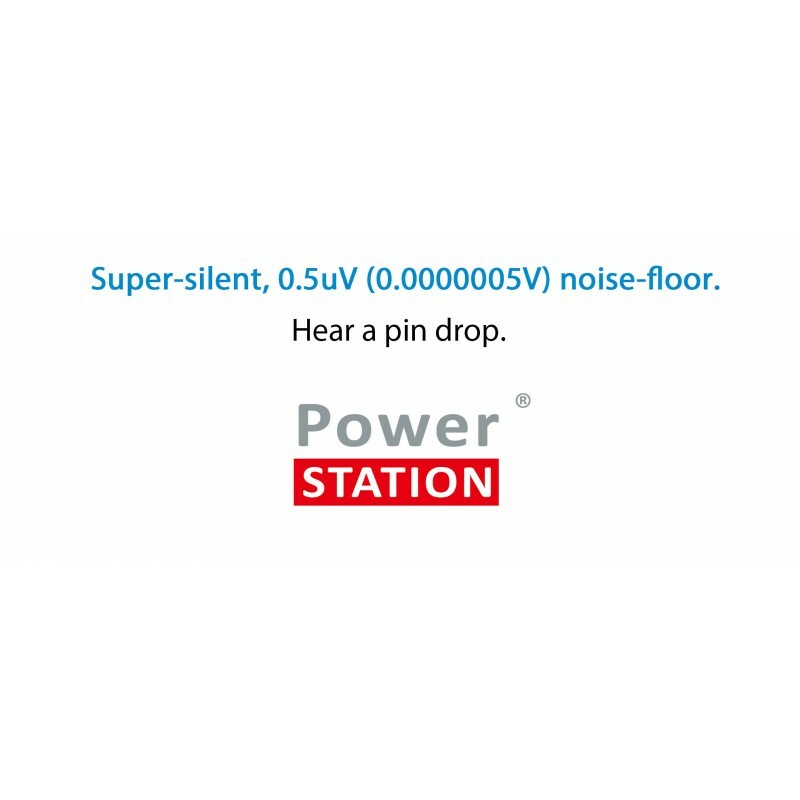 Extremely low noise floor (0.1uV) ANC+ circuit, lower noise than batteries. Very low noise floor (0.5uV) ANC circuit, comparable to batteries. USB Power Always ON or follow the status of the computer. USB3.0 chipsets are markedly superior to USB2.0 chipsets. 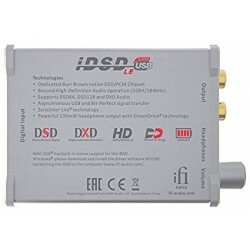 This is in part due to improved IC construction processes that are needed to support the data rate of USB 3.0 which at 5GBPS, is 10x that of USB 2.0. 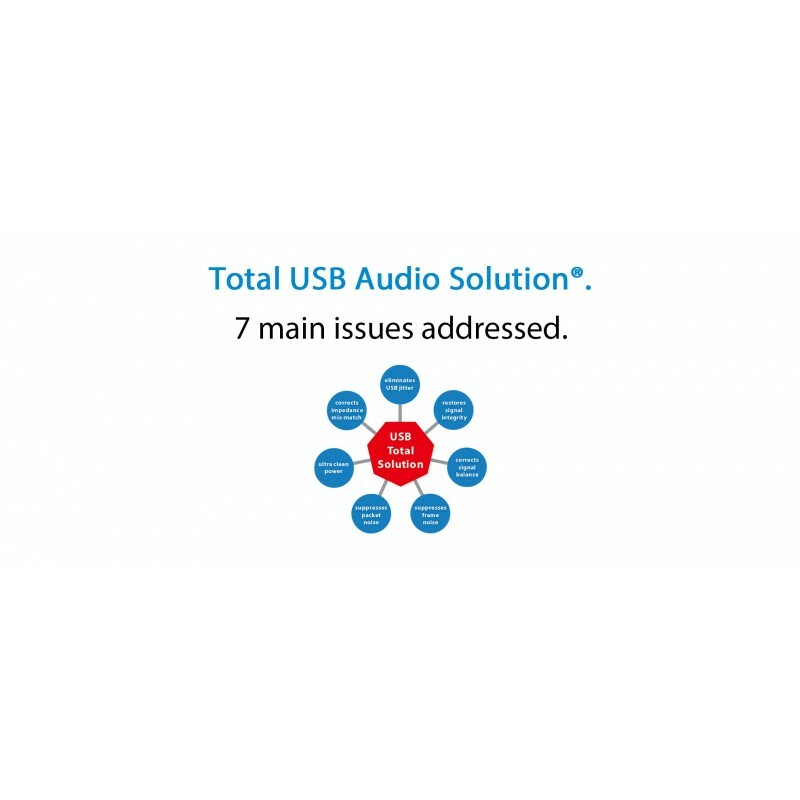 USB Audio Class 2.0 Devices are especially sensitive to data quality issues. Computer hard-disks work in ‘Bulk Mode’ which allows corrupt data to be re-sent and is extremely robust in terms of data integrity. True crystal clocks with a clean power supply offer around 100 femtoseconds jitter in the all-important audio band (20Hz-20kHz). By comparison a SONET-derived Femto-Clock (US$50), has around 500 Femtoseconds jitter in this audio band. 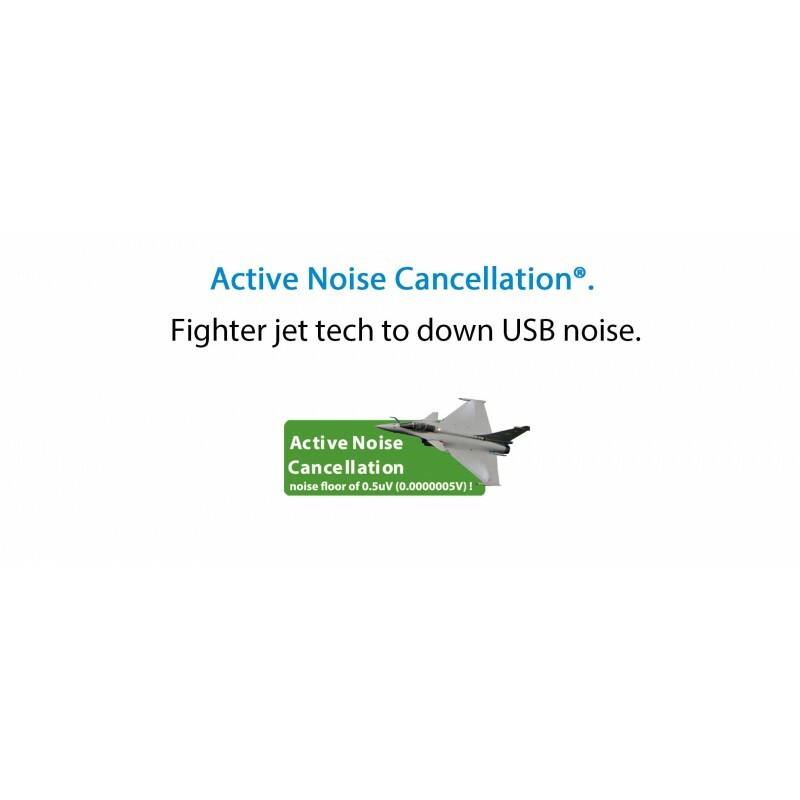 Active Noise Cancellation generates an opposite phase signal to the noise to cancel it. 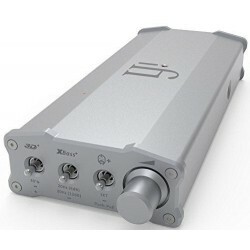 Due to its operation it also stops noise from the device being reverse-injected into the power supply or computer.